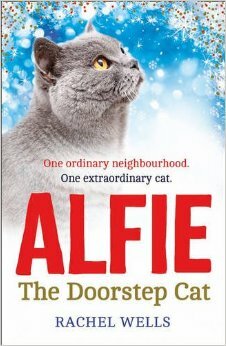 Alfie is abandoned and alone after his elderly owner dies. Having been a lap cat his whole life Alfie struggles with life on the streets until he comes across Edger Road. Having decided he can't trust having only one family anymore. Alfie decides to have several families. The story follows Alfie and how he changes the lives of all his families, bringing them all together and fixing their lives. I gave this book 5* on goodreads once I started I couldn't put it down. A great heartwarming book. Four families each with their own problems and struggles and Alfie manages to fix them all and makes the lives of all the families better. The beginning of the book where Alfie struggles with life on the streets is really moving and makes you really feel for Alfie. It makes you feel even more happier for him when he gets his happy ending would very much recommend for anyone looking for a great light read.